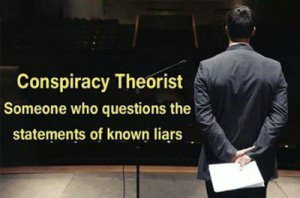 If you write a post or commentary that shines the light of day on the truth about vaccines and the damage they are doing to human beings, you will quickly be labeled a conspiracy theorist, quack, lone nutter, or a junk scientist. Medical science (Isn’t that an oxymoron?) and the pharmaceutical companies worldwide that underwrite and control the profession of medicine continue to promote the false paradigm that more vaccines equate to a healthier and happier population base. The vaccine industry is big business and it produces astronomical profits for the most powerful corporations in the world. This is why we will not see a decrease in the number of vaccine products being manufactured in the foreseeable future. Instead, we will see additional vaccines being introduced and more innocent people being irreparably harmed over time. Every year the number of children being seriously injured because of vaccines increases. The cases very rarely, if ever, make it into the mainstream news. Vaccine injuries reported to medical physicians are usually not recorded as such and get lost in an intentionally manufactured statistical abyss. Make no mistake about this subject matter, there is a concerted effort by medicine and Big Pharma to keep a lid on the biggest secret within the medical profession; vaccines are the lifeblood of medicine and the etiological cause of autoimmune disorders as well as many physiological expressions of cancer and other diseases. In addition to Dr. Piesse spilling the beans about vaccines, ABC News has recently reported and simultaneously downplayed an apparent connection between flu jabs and miscarriage in pregnant women. If you want to label Dr. Piesse and others like him as conspiracy theorists, it’s your prerogative. Labels and names are not going to physically harm these brave professionals, but the vaccines we continue to distribute to healthcare consumers worldwide will undoubtedly destroy the lives of your children and loved ones. How many children have to die from vaccines before people wake up?